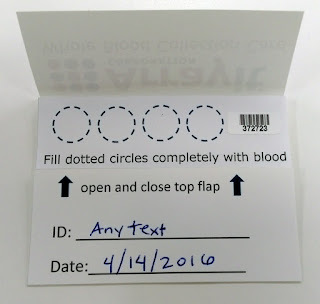 Whole blood collection cards to acquire and stabilize, RNA, DNA and Protein from lancet "finger-stick" collection methods are important tools in life sciences and healthcare. The best and most sensitive assays require sample input of the highest integrity. The old saying is especially true in the laboratory, "Garage in garbage out". The sample input integrity is essential to acquiring great results. 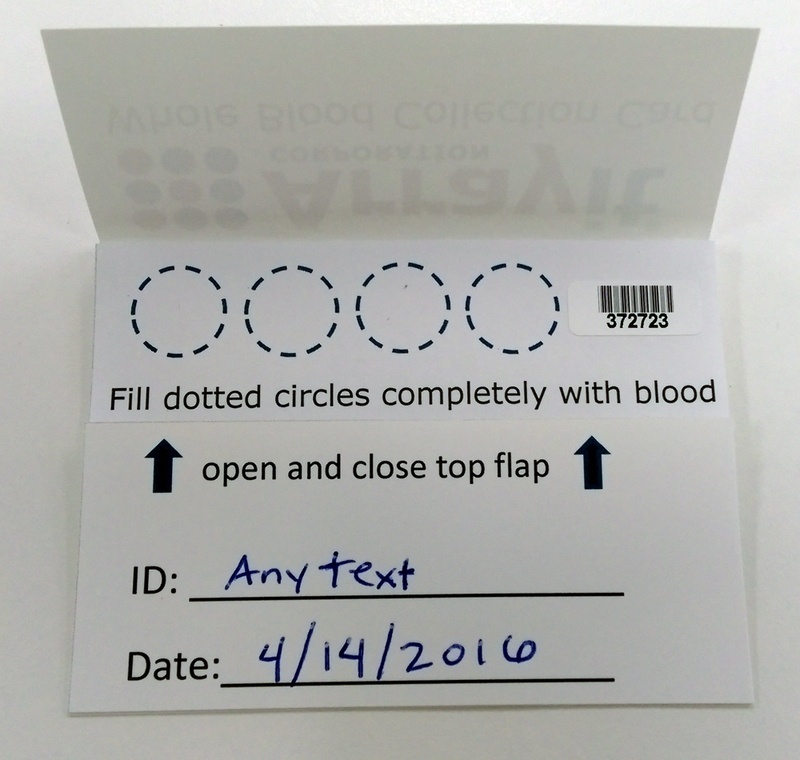 The most important aspect of any dry blood spot collection card is the purity of the collection matrix that the blood sample is applied. There can be no contamination on the matrix that will compromise the sample being collected. All material used to manufacture the collection matrix should use the highest purity materials validated by chromatography and use high purity deionized water and chemicals in the process. The final collection matrix holding the whole blood must be free of naturally occurring RNases, DNases, and Proteases, the enzymes that break down and degrade these important biomolecules that exist everywhere! Therefore, the cards should be assembled in clean room environments free of contamination. 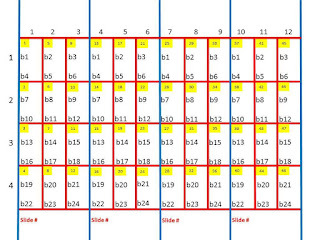 Each collection matrix must be homogenous in composition. Uniformity, thickness, and absorbency characteristics must be consistent across all cards. 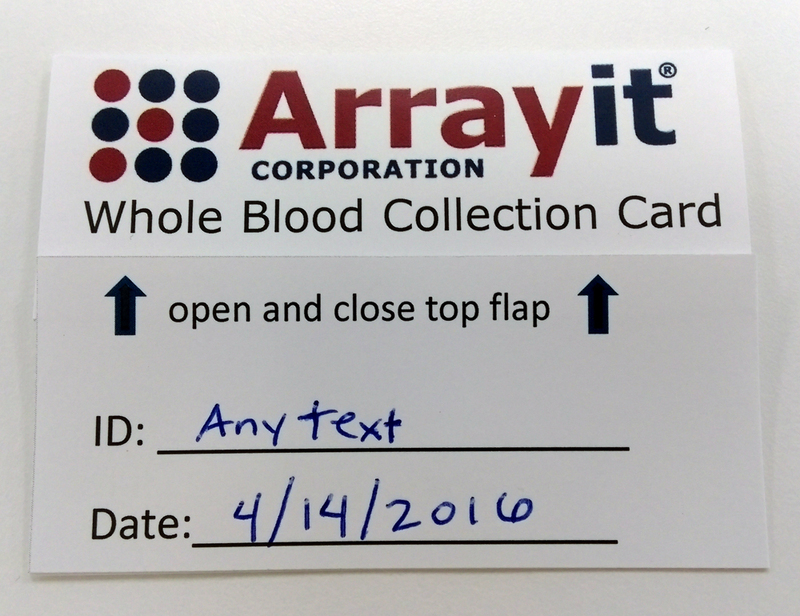 The collection matrix used for Arrayit Whole Blood Collection Cards are enclosed in a convenient cover with a flap that easily opens and closes to protect the blood spot collection area from environmental contamination or damage. Each is bar coded for unique identification and has space on the front of the card for information the specimen collection personnel may want write on the card. Logos and text can all be customized to meet customers specific requirements. Cards can come in bulk or packed individually in environmental proof bags. 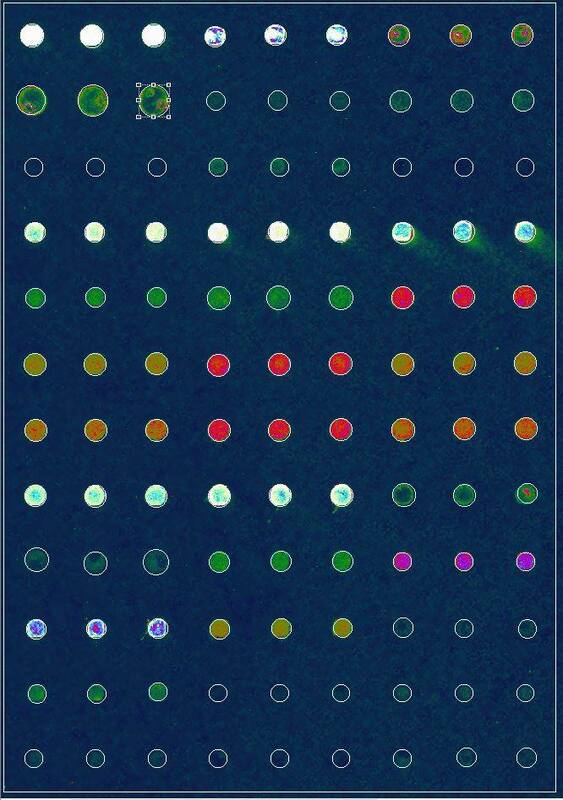 For use in protein microarray, cards come with specially formulated elution/reaction buffers with spin columns to prepare the sample to be applied to protein microarrays. Here is a training video of the process of elution. 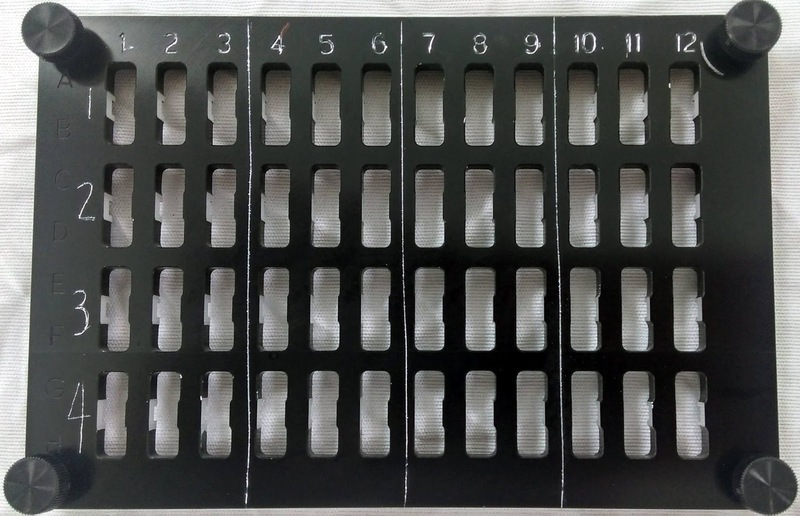 How we run the equivalent of 10,368 blood based ELISA assays on only 4 microscope slide size pieces of glass in a single tool with the footprint of a standard 96 well plate using blood input levels from fingerstick collection. I realize this looks complicated and perhaps even sounds impossible to you. But it's all quite simple really and it works. Tracking the data generated on our miniaturized multiplexed and parallelized microarray testing platform is critical. The first photo is the form we use in the lab for our AHC4x12 hybridization cassette (also pictured). 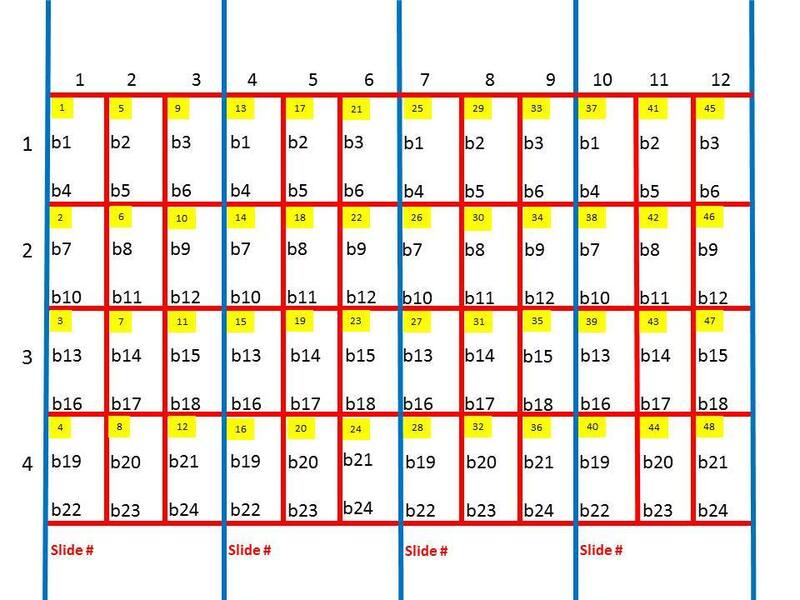 The slide numbers, block numbers for microarray quantification, and blood sample numbers are all fixed based on the cassette hardware and the microarray manufacturing pattern which are displayed on the form. 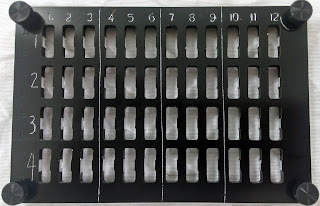 Each blood sample is reacted to 2 microarray "blocks" of spots for up to 48 samples per tool (see 2 photos of single blocks here). 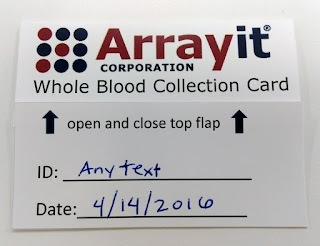 We write on this form the slide number, date, microarray type, and bar code number from the blood sample that is applied to the microarray. It works and tracks everything perfect. Total test time only 4 hours all the way through to final data reports, 1 technician, total sample preparation and applying the sample to the microarrays requires only 144 pipetting steps for 10,368 data points. AHC4x12 Hybridization Cassette. 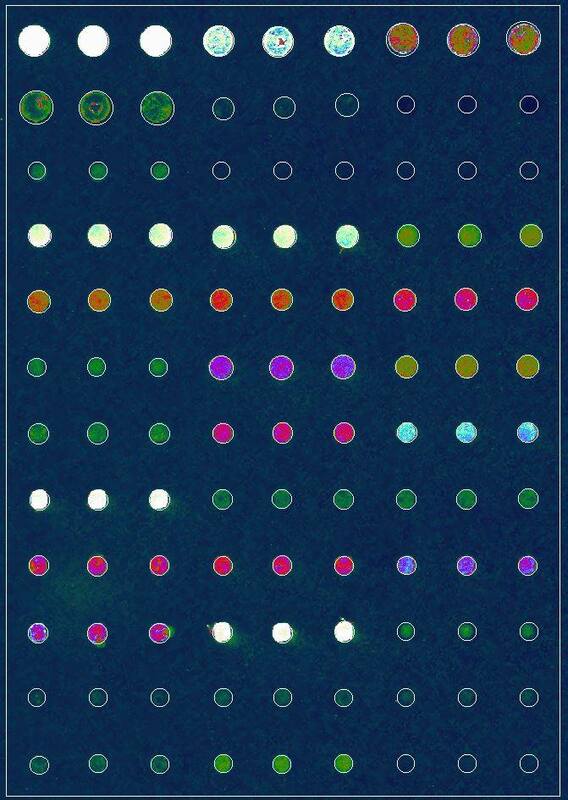 Each "well" is a microarray of 2 blocks of spots. Sometimes customers ask us if we have any references for our SpotBot Microarrayer. Here is a list of the publications published in 2015.
attractants including a protein hydrolysate, ammonium acetate and. 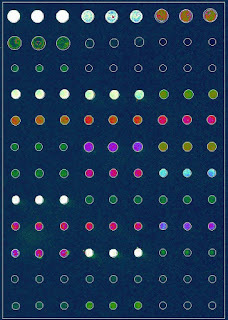 ... Phenotyping of extracellular vesicles using the EV Array. 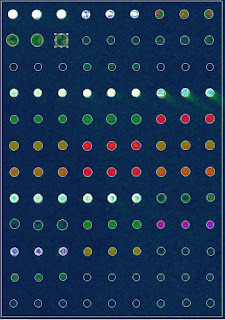 Production of microarrays. (Arrayit Corporation, Sunnyvale, CA) at the temperature of 14 °C and humidity of 60%. ... 2.6.3. RPPA analysis. RPPA analysis was performed as previously described . ... All images were processed using ImageJ software. Protein spotting and cell culture. without subsequent intra-epidermal or follicular penetration. of mesoderm and is restricted to differentiate into derivatives of intermediate mesoderm. Microarray biochip technologies are covered in this blog. A variety of microarray tools, kits and reagents are reviewed and discussed. Microarray Printers, microarray hybridization tools, microarray surface chemistry, microarray slides and substrates....all thigns microarray.